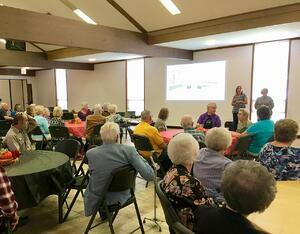 The annual volunteer appreciation luncheon for AMEN Food Pantry featured a presentation by Ben Heimsath. The group has outgrown its converted residence and has been planning a new facility in a renovated warehouse owned by the City of La Grange. Board member Garry Schellberg introduced the project and explained how it was being developed in partnership with Heimsath Architects. Ben Heimsath noted that the firm had contributed the planning and design as a pro-bono project. 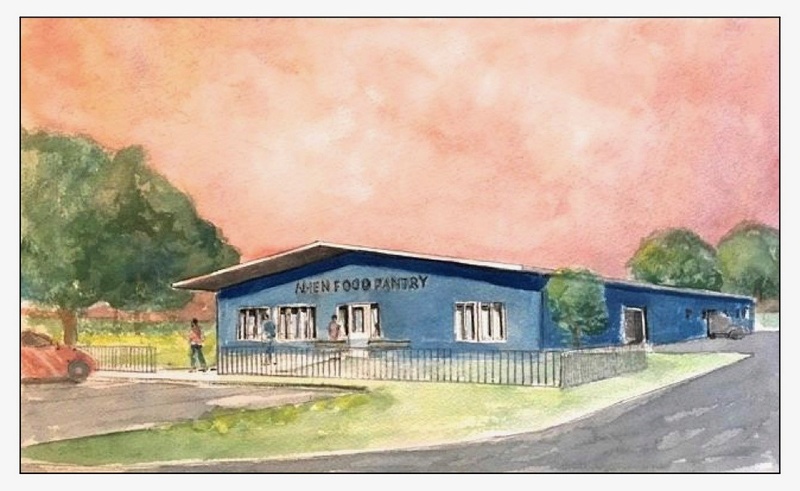 The plans had proceeded to completed construction documents when, due to flooding, the Second Chance Thrift Shop took over the existing space until their new building can be completed. Ben noted that renovations should begin sometime in the summer, once the Second Chance was able to move. The AMEN organization is comprised of volunteers from area churches in the La Grange area. AMEN (which stands for Area Ministry for Emergency Needs) has been serving an increasing number of local residents and families and will use the new facility to serve more clients.